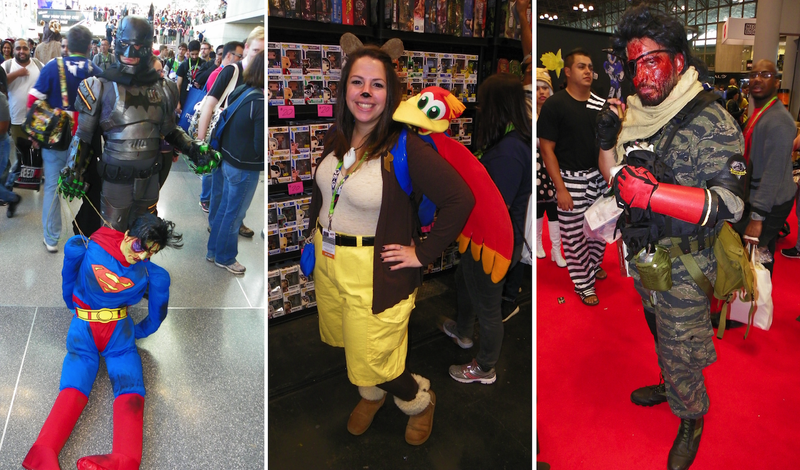 New York’s biggest nerd culture gathering has been in full swing for a few days now, bringing with it hundreds of thousands of fans eager to soak all the comics, TV, games and geekery they can handle. And there’s been a bunch of great cosplay, too. What follows is a collection of photos of the funniest, most clever costume work I saw in my two days at the show. Most of these were shot on the run in a very crowded show, so I couldn’t get the names of the cosplayers. If you’re one of the people pictured or know them, drop me a line at evan@kotaku.com and I’ll add credit in a later update. Gustavo Rojas on the left, Jeffrey Gonzalez in the middle, and Harold Truong on the right.